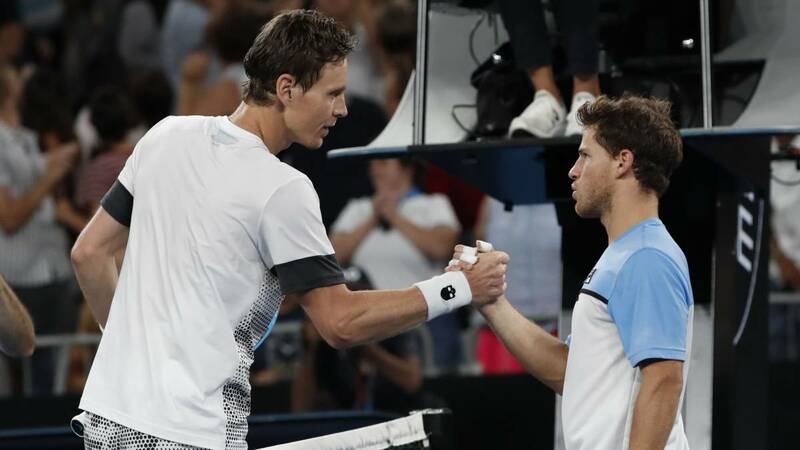 Tomas Berdych, reborn after falling to 79th place in the ranking, came back and defeated Diego Schwartzman, who was chasing his second consecutive eighth in Melbourne. Diego Schwartzman has been eliminated in the third round of the Australian Open by a reborn Tomas Berdych, he had never faced. The Czech, top-10 between 2010 and 2017, fell to the 79th position that now occupies but has started the year with very good feelings and a final in Doha (fell to Roberto Bautista). In Melbourne is confirming its good moment and has won the Peque to overcome a match that began losing: 5-7, 6-3, 7-5 and 6-4 in three fair hours. There are no Argentines left in the individual box, but in the box of doubles. Schwartzman pursued his second consecutive classification for the knockout stages of the tournament (last year lost against Nadal), but perhaps the five-set palisade that took two days before to beat Denis Kudla, on a track that he described as "very fast", could pass bill to the player from Buenos Aires. Every could have changed, if Schwartzman had taken advantage of the breakthrough balls he had in the sixth game and in the eighth of the third heat. He did not convert it and it was Berdych who did not spare to sign 7-5. Later, Diego lost his serve in the final quarter and could not recover the disadvantage. Berdych took very well and placed 65 winners, which allowed him to compensate his 50 unforced errors. In eighth will face Nadal or De Miñaur.